The Trump regime is considering a plan to nationalize at least part of the 5G wireless network that’s currently being developed by American telecom companies, according to a report by Axios. And while Reuters says it has confirmed the basics of the report (while noting it’s mostly just an internal spitballing session that hasn’t reached President Trump’s desk yet), there are still a lot of questions about the tentative plan. The emerging 5G network is expected to serve as the backbone for futuristic things like autonomous vehicles and blazing-fast mobile internet connections. So why would the US government, outside of Pai and his free marketeers, want to own and operate at least part of the spectrum instead of letting companies like AT&T and Verizon take the wheel? “We want to build a network so the Chinese can’t listen to your calls,” an anonymous senior US government official told Reuters. By having the government develop and control the network, the argument seems to go, other countries like China would have fewer opportunities to infiltrate the network to use it for spying on Americans. It’s not clear why a 5G network developed by the US government (and rented out to private companies) would be more secure for consumers than one developed by private companies. But that’s clearly only part of the equation. There are also what Steve Bannon and his ilk might call economic nationalist concerns—not allowing foreign companies to invest in and control large parts of American industry. According to Chinese reports, the country’s telecom companies are expected to spend at least $443 billion between 2020 and 2030 in China on its 5G network, and untold billions in the US. 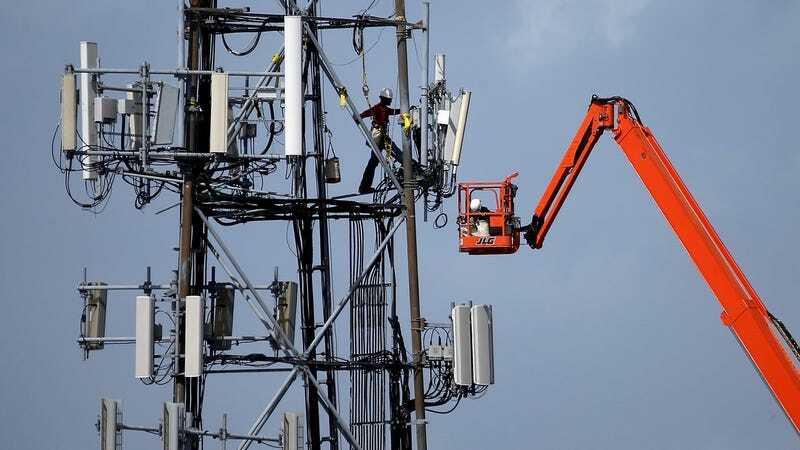 Much of the 5G spectrum has already been auctioned off to the highest bidders and the necessary infrastructure (all the upgraded towers and goobly bits that make our modern age work like magic) are being built by America’s biggest communications companies. And AT&T already claims to have plans to launch 5G service in at least a dozen cities by the end of the year. But that doesn’t mean that the US government couldn’t still take some dedicated spectrum for itself and build something that’s 100 percent American-controlled. The tentative plan seen by Axios for a US government-controlled network is apparently on a timetable of three years, something that’s wildly optimistic. But as the New Cold War heats up, these kinds of considerations could become all the more common. And the concern about Chinese tech infiltrating America isn’t new. Back in 2012, Congress warned that Chinese hardware manufacturers Huawei and ZTE Corp could be spying on Americans through their handsets that were sold through companies like T-Mobile, Sprint, and AT&T. The Chinese companies claimed that the charges had no basis in fact and that they were simply being shut out of the US market over isolationist economic concerns.